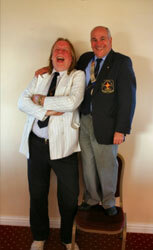 It is possible to arrange a free, no obligation, meeting with The Mindboggler. For your next event, whether it is a wedding, private party or a corporate event, The Mindboggler will be able to create a tremendous amount of fun, laughter and astonishment for you and your guests, by performing, with his unique mindboggling talent. Everyone will be talking favourably about your event for weeks afterwards. The Mindboggler has entertained people all over the world and from all walks of life, including Royalty, Rock Stars and World Champions. In addition, The Mindboggler has made several television appearances and once received the highest viewing figures on Maltese television. Fill in The FREE Meeting Request form. The Mindboggler will be able to give you a little more insight as to how he can astound and amaze your guests. Completely free of charge, with no obligation whatsoever, there is an opportunity for you and any other organisers, to enjoy and experience, some of The Mindboggler’s amazing talent, by simply filling in the FREE MEETING REQUEST form. 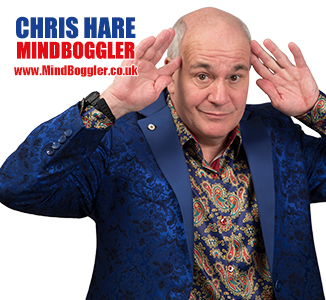 Chris Hare The Mindboggler will be pleased to meet you at your home, workplace or some other suitable meeting place, so that you can see for yourself how entertaining The Mindboggler will be at your next event. He will also be pleased to present you with a free copy of his book Sensational Memory, a book he wrote which teaches people how to improve their memory and powers of recall. As you can imagine, Free Meetings are very popular and consequently subject to availability. To avoid disappointment please don’t delay, fill in the form today. Meetings usually have a duration of no more than 15 - 30 minutes. Go on do it now. You know you want to. 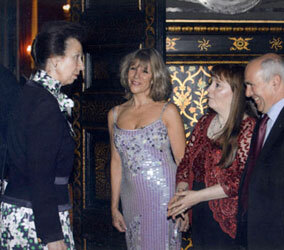 The Mindboggler presented to HRH Princess Anne at St James’ Palace. Mindboggling at The Magic Circle, London. 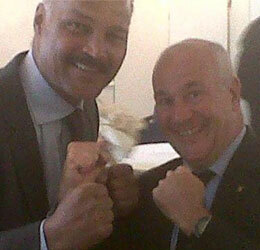 Mindboggling former World Light-Heavyweight Boxing Champion,John Conteh. 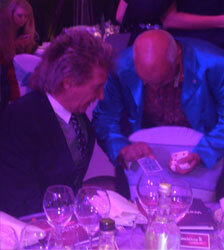 Mindboggling Rod Stewart at The Dorchester, Park Lane, London. Chris Hare never fails to amaze me. How he remembers everyone’s birthday is incredible.He is always a pleasure to work with and good company to have anywhere. Chris Hare is a knockout entertainer. Chris Hare hits ’em for six with his amazing mind skills. 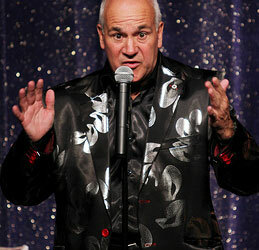 The Mindboggler show has entertained people all over the world and from all walks of life. In addition to this Chris Hare has made several television appearances and is the author of Sensational Memory. 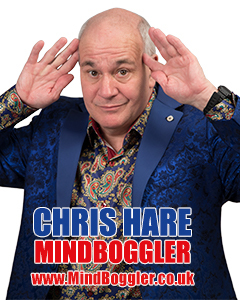 By using his amazing mind reading skills in the Mind Boggler show Chris Hare is able to wow and stun an audience leaving them wondering how it was done. Your event will be the talk of the town for weeks to come leaving your clients with an unforgettable experience. All of this combined gives a favourable memory of your event. 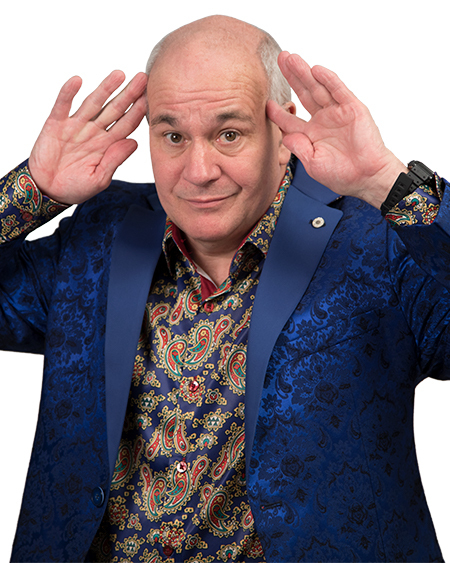 The Mind Boggler show is enormous fun with the right mix of humour and undeniable skill and there is something to suit everyone from sceptics through to fellow performers. Chris Hare’s extensive understanding and expertise in the mind reading realm has enabled him to produce a world class act. To download High Resolution photos for publicity purposes, please choose an image below.